To pay by Credit Card simply select Paypal. 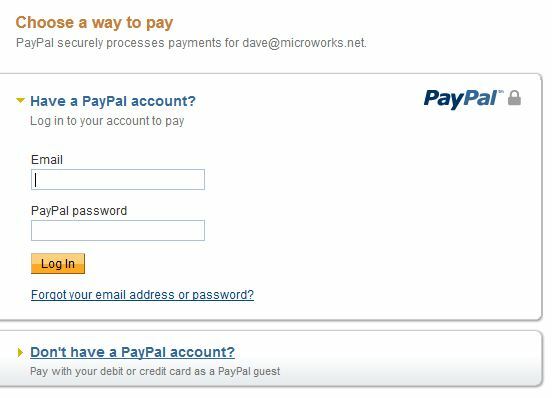 You DO NOT need to have a Paypal account to use this option. Note the "Don't have a PayPal account? Use your Credit card or bank account" Along with a link to press that says Continue. All Content Registered and/or Copyright © 2019 MicroWorks System Solutions, LLC. All Rights Reserved.